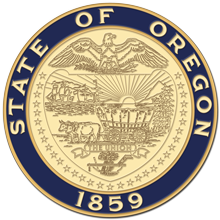 Portland, OR—Governor Kate Brown today declared addiction as a public health crisis in Oregon, and signed laws aimed at improving the state's addiction prevention, treatment, and recovery systems. "If we can make meaningful change in addiction prevention, treatment, and recovery, we can create better lives for our families, and lift a burden off our law enforcement and foster care systems," said Governor Brown. "We will do that by lowering barriers people face to comprehensive behavioral health, by getting rid of fail first policies, and implementing creative programs like those outlined in this legislation and executive order." Governor Brown signed HB 4143, a bill she introduced to the legislature in the recent session, which focuses on concrete measures to combat the opioid epidemic. An executive order that declares the public health crisis also charges the Alcohol and Drug Policy Commission (APDC) with creating a statewide comprehensive strategic plan that includes addiction prevention, treatment, and recovery support. She also signed HB 4137, which requires the APDC to develop a preliminary framework of the plan and a Request for Proposal (RFP) for a comprehensive plan by November 1st, 2018. The Governor was joined at the signing by HB 4137 sponsor Representative Tawna Sanchez, members of the Governor's Opioid Task Force, representatives from the Alcohol and Drug Policy Commission, and community partners including Oregon Recovers. The Governor also met with volunteers from the Lines for Life substance abuse crisis hotline.